Whether it’s meeting your out-of-town clients at the airport or providing transportation to office events, Prestige Limousines can provide you a private, comfortable and worry-free Napa Sonoma wine Tour, Napa Valley wine tour and Livermore wine tour.You’re sure to find satisfaction with Prestige Limousine’s Napa Sonoma wine Tour and Napa Valley wine tour. Make your sightseeing tour more special with Prestige Limousine and our Napa Sonoma wine Tour and Napa Valley wine tour, satisfaction guaranteed!. Prestige Limousine offers services like Napa Sonoma wine Tour, Napa Valley wine tour and Livermore wine tour. For more information you can visit our website through www.prestigelimousine.com . We put your comfort and style first for your travel experiences. Having difficulties finding an outstanding Napa Sonoma wine Tour, Napa Valley wine tour and Livermore wine tour. Look no further because with Prestige Limousine, we’ll surely impress you Our team is composed of trained courteous professionals, who deliver excellent service specially to our valued clients. A Prestige Limousine “City Tour” of San Francisco is a special treat for you and your family. Enjoy our Napa Sonoma wine Tour for that special day of family bonding. 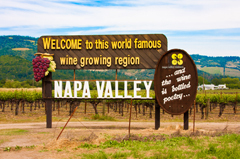 Should you have inquiries about our Napa Sonoma wine Tour, please feel free to contact us. We have our word that we’ll attend to you in no time. With our Napa Sonoma wine Tour, we can get you there on time, in chic style, and at the same time we’ll be catering to your every need. We have Napa Sonoma wine Tour, Napa Valley wine tour and that lets you arrive in style and class which will surely make you feel like royalty. Perfection is not just any word to us. Here, we make sure to give you a Napa Sonoma wine Tour Napa Valley wine tour and Livermore wine tour that will surely meet your needs. Livermore is an amazing secret known mostly to locals. This makes the wine scene intimate and passionate. 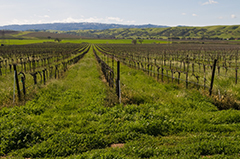 When you are finished hopping wineries along Tesla Road, make sure to grab a bite and do some shopping in the Livermore downtown area.